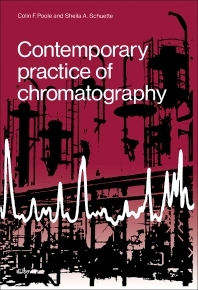 Written for all those who use chromatography as an analytical tool, this book covers all areas of gas, liquid, and thin-layer chromatography; no other book offers the same scope. The authors have had considerable experience in teaching graduate-level courses and the material presented here has been tried and tested, having formed the basis for short courses taught to groups of industrial chemists. Emphasis is on the practice of chromatographic methods, including how to'' sections and numerous examples of calculation methods. Extensively illustrated, the book contains numerous tables of all useful constants, materials and formulas frequently used by chromatographers. Valuable features are the chapters on sample preparation for chromatographic analysis, on instrumental methods for sample identification, and the comprehensive literature review. Fundamental Relationships of Chromatography. 2. The Column in Gas Chromatography. 3. Instrumental Requirements for Gas Chromatography. 4. The Column in Liquid Chromatography. 5. Instrumental Requirements for High Performance Liquid Chromatography. 6. Preparative-Scale Chromatography. 7. Sample Preparation for Chromatographic Analysis. 8. Hyphenated Methods for Identification after Chromatographic Separation. 9. High Performance Thin-Layer Chromatography. Subject Index.